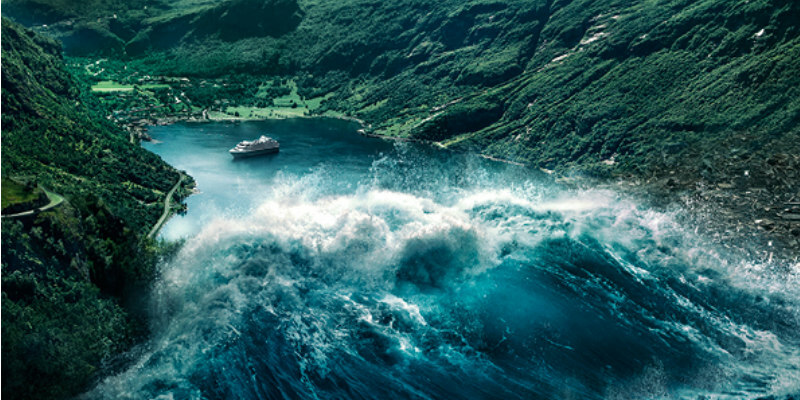 Studiocanal have released a UK trailer and poster for director Roar Uthaug's disaster flick. Experienced Norwegian geologist Kristian Eikfjord (Kristoffer Joner) has accepted a job offer out of town. He is getting ready to move from the city of Geiranger with his family (Ane Dahl Torp, Jonas Hoff Oftebro), when he and his colleagues measure small geological changes under ground. Kristian realises his worst nightmare is about to come true: the alarm goes off and disaster is upon them. With less than 10 minutes to react, it becomes a race against time in order to save as many lives as possible including his own family. 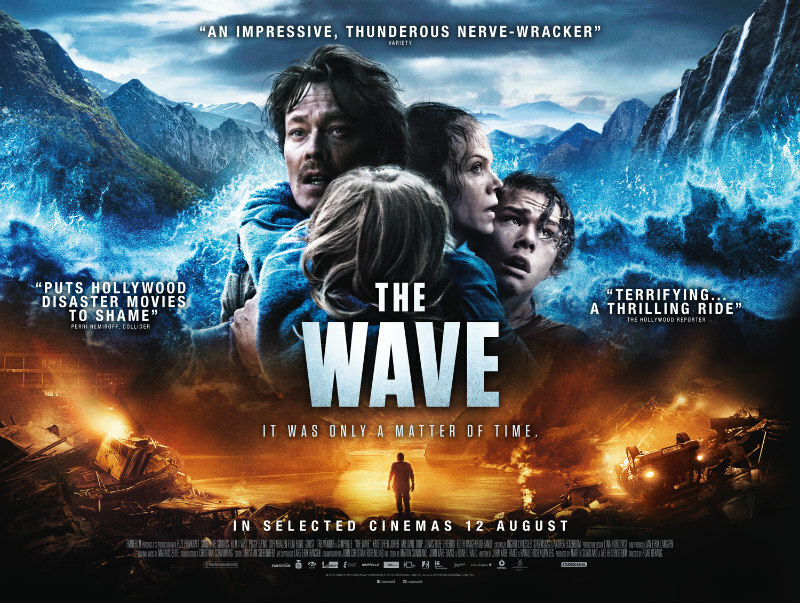 The Wave will arrive in cinemas on 12th August.